The second Simulator User Conference took place on March 14th-15th. in the German Simulator Center KSG | Gfs, in Essen, North Rhine Westphalia. 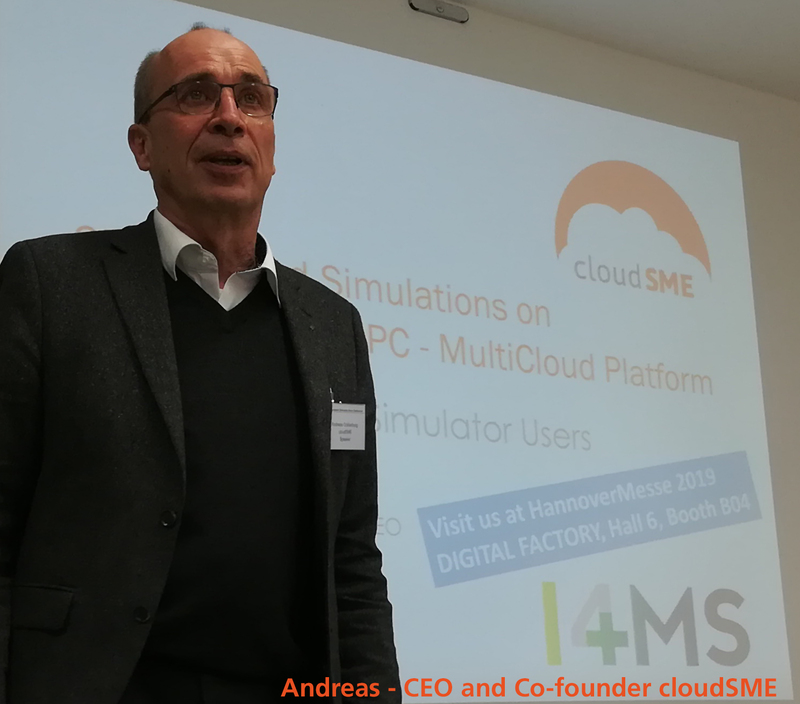 Andreas, CEO cloudSME, was invited within the framework of simulation and digitalization, to present cloudSME's cloud portal technology and it benefits, like the seamless distribution of cloudified software solutions. 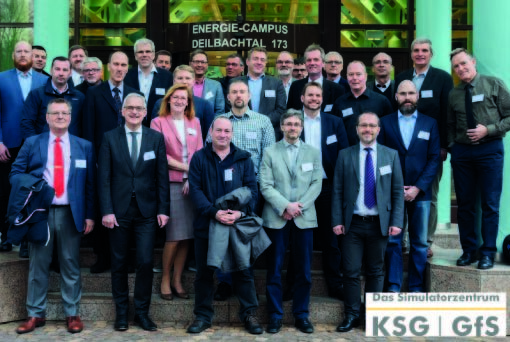 The participants of the two-day conference gave a deeper insight of emerging trends in the simulation industry and the latest technology from GSE Systems. Focus was the binomial digitalization and simulation, and how both can support industries to go digital. The possibilities spread from training, over maintenance, to plant optimization were outlined. Andreas presented our “Cloud Portal Technology” and explained it's heritage, how it was developed and how it simplifies the software-, and user management as well as the automated cost tracking and invoicing. Additionally, CloudiFacturings Digital Marketplace and second wave of the Open Call were announced and shown how interested parties can participate. It was a successful two-day conference together simulators users, managers, engineers, and other participants. ...has provided simulator training for licensed staff in German and Dutch nuclear power plants for more than 40 years. During the early years, the focus had been on all technical aspects of the training; today, the range of course contents has been significantly expanded to include behaviour training courses.